Windows Azure Services for Windows Server 2012 - We're getting there! A couple of months ago, I blogget about project “Katal” – or Windows Azure Services for Windows Server 2012 as it’s officially called. I’ve been working close with a couple of service providers lately, and many of them have shown deep interest of this beautiful portal with such a rich user experience. This blog post is just a teaser to get you interested to play with it on your own, showing how the tenant portal presents stuffs to the tenant administrator, while Orchestrator with SPF, Virtual Machine Manager and Windows Server 2012 with Hyper-V are running the show in the background. First of all, the tenants access the portal and signs-up using one of my available stamps that I have made public. They will get an e-mail with logon information – and yes, I can secure this so that they would have to authenticate themselves prior to getting access. As an experienced cloud guy, I would start by creating a virtual network before I deploy some virtual machines. 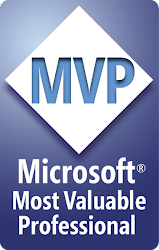 Next, I’ll deploy a virtual machine based on a template I have created in VMM and made available as part of my stamp. As you can see, I have created VM network and is currently deploying a virtual machine. If we take a look at the VMM side, we can first look for some new user roles. The portal creates these when the tenants have signed up for a stamp. Next, we can see at our VM networks. We have now a new VM network that is based on a logical network. This is something the VMM administrator will configure during the network fabric setup. And last, the virtual machine is deployed to the cloud we have made available in the portal. That's all for now, but I will cover the details over the next blog posts, to hopefully get you started with Windows Azure Services for Windows Server 2012. If you have any questions, feel free to comment on this post. This is a handy tool that I strongly recommend, to make sure that your System Center 2012 SP1 deployment is according to best practice. Simply connect to the machines that have any of the SC components install, type in the credentials for accessing them and perform a scan. This will in the end return a report with tips for optimization, and detect any configuration that is not best practice. I did a quick test on my VMM server to see if I had missed anything. Luckily, since this is my bread and butter, everything was in order – and the tool provided me with great information of things I should already be aware of. Looking forward to test this on the rest of the components. I will do a couple of webinars for Microsoft over the next weeks. This is a hot topic in these days. Windows Server 2012 supports NIC teaming out of the box, and this gives us finally some flexible design options when it comes to Hyper-V and Hyper-V Clustering. NIC Teaming requires at least one single Ethernet network adapter, that can be used for separating traffic that is using VLANs. If you require failover, at least two Ethernet network adapters must be present. Up till 32 NICs is supported in Windows Server 2012 NIC teaming. The basic algorithms that’s used for NIC teaming is switch-independent mode where the switch doesn’t know or care that the NIC adapter is participating in a team. The NICs in the team can be connected to different switches. Switch-dependent mode require that all NIC adapters of the team are connected to the same switch. The common choices for switch-dependent mode is Generic or static teaming (IEEE 802.3ad draft v1) that requires configuration on the switch and computer to identify which links form the team. This is a static configuration so there is no additional assistance to detect incorrectly plugged cables or odd behavior. Dynamic teaming (IEE 802.1ax, LACP) uses the Link Aggregation Control Protocol to dynamically identify links between the switch and the computer, which gives you the opportunity to automatically create the team, as well as reduce and expand the team. There are two different distributions methods that Windows Server 2012 supports. Hashing and Hyper-V switch port. When virtual machines have independent MAC addresses, the MAC address provides the basis for dividing traffic. Since the switch can determine the specific source MAC address is on only one connected network adapter, the switch will be able to balance the load (traffic from the switch to the computer) on multiple links, based on the destination MAC address for the VM. Hashing algorithm creates a hash based on components of the packet, and assign packets with the hash value to one of the available network adapters. This ensures that packets from the same TCP stream are kept on the network adapter. · Source and destination MAC addresses. To use NIC teaming in a Hyper-V environment, there are some nice new features available in powershell to separate the traffic with QoS. The scenario I’ll demonstrate in VMM is using NIC teaming with two 2GBe modules on the server. System Center Virtual Machine Manager is the management layer for your virtualization hosts, and Service Pack 1 will support management of Hyper-V hosts in Windows Server 2012. This will also include the concept of converged fabric and network virtualization. 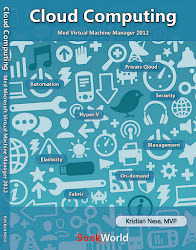 The catch is that you must create the team with Virtual Machine Manager. 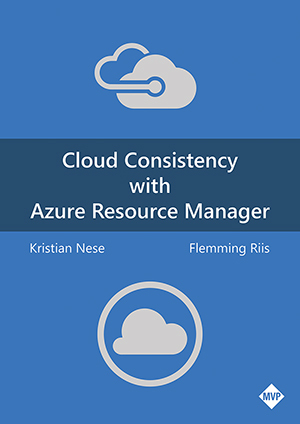 If the team is created outside of VMM, VMM will not be able to import the configuration properly, and reflect the changes you make. This is the first mandatory step. 1. Create logical networks for all the actual networks you will be using. This means management, cluster, live migration, iSCSI, SMB and so on. Configure sites, VLAN/Subnet and eventually IP Pools for those networks, so that VMM can assign IP addresses to the vNics you will create. For all your routable networks, configure default gateway, DNS suffix and DNS in the pool. We will create Native Port Profiles both for the physical NICs used in the team, and the vNics, and group the profiles in a logical switch that we will apply to the hosts. 3. Select the appropriate network sites, and enable network virtualization if that’s a requirement. This will instruct the team that network virtualization should be supported, and enable the network virtualization filter driver on the adapter. 1. We need to classify the different vNICs, so navigate to Port Classification in Fabric, right click, and select ‘Create new Port Classification’. 2. Assign a name and eventually a description. The logical switch will group our configuration, and simply the creation of NIC teaming and vNICs on the hosts. 1. In Fabric, right click on Logical Switch, and select ‘Create new Logical Switch’. 4. Specify which uplink profiles that should be available for this logical switch. Here you can decide if the logical switch should support teaming. If so, enable ‘team’ and add the uplink profile you created earlier, and click next. 5. Specify the port classifications for virtual ports part of this logical switch. Add the virtual network adapter port profiles, with their corresponding port classifications you created earlier, in this step of the wizard. Click next and finish. Navigate to your hosts in Fabric, right click and click properties. 1. Navigate to ‘Virtual Switches’ on the left, and click ‘New Virtual Switch’ and select ‘New Logical Switch’. 2. Select the Logical Switch you created earlier in the drop down list, and add the physical adapters that should be joining this team. 3. Click ‘New Virtual Network Adapter’ and give the vNIC a name, select VM Network for connectivity (created earlier), enable VLAN, assign IP configuration (choose static if you want VMM to handle this from the IP pool), and select port profile. Repeat this process and create a new virtual network adapter for all your vNICs and map them to their corresponding networks and profiles. Important: If you want to transfer the IP address that's currently used as management IP to a virtual network adapter, remember to mark the option 'This virtual network adapter inherits settings from the physical management adapter'. Once you have configured this, click ‘OK’ and VMM will create the team and it’s vNICs on the host. For the management vNIC, you can assign the IP address you are currently using on the physical NIC, and VMM will place this on the vNIC during creation. You have now created converged fabric using VMM, and enabled your hosts to leverage network virtualization. Sessions at NIC 2013 - videos available! Recently, I posted links to my presentations at slideshare, that I had at the NIC conference in Oslo, in January. Guess what? you can now view the presentations from all the sessions at NIC, through the power of internet. Enjoy - and stay tuned for an interesting announcement the next couple of days!